Enjoy this tribute to one of TV’s most quotable shows before it’s inevitably shut down. Next time you need the perfect Simpsons quote, try using Frinkiac. This unusually specific search engine indexes every line of dialog from the first 15 seasons of The Simpsons and displays them next to their corresponding still image. Search for “cough syrup,” for instance, and you can see the exact moment Homer reveals the secret ingredient to a Flaming Moe. Search for “excellent,” and you can easily create a compilation of Mr. Burns’ most maniacal moments. 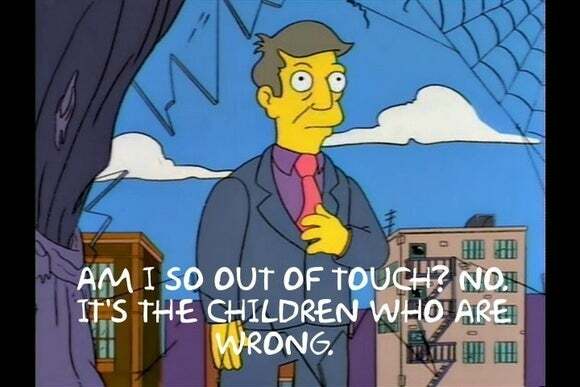 Frinkiac even lets you generate a meme for each quote, written in the classic Simpsons font. In a blog post, developer Paul Kehrer makes this marvel of engineering sound surprisingly easy. To create the screen grabs, Kehrer, Sean Schulte, Allie Young cut each scene into 100 “buckets,” and took the average color of each. If the colors in one bucket were sufficiently different from the next, they’d save the image. This prevented them from having to store every individual frame. The programmers then parsed the captions from each episode, and matched up their time codes to the still images. 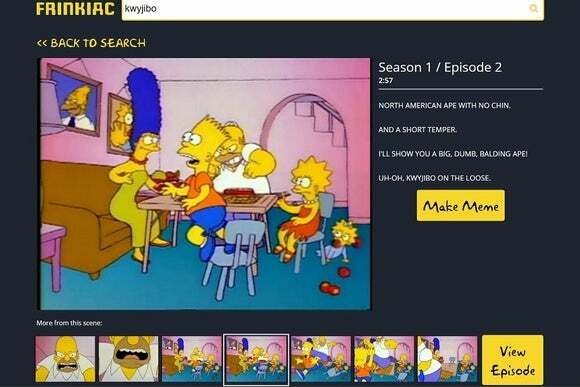 Why this matters: Aside from being an indispensable resource for Simpsons fans, Frinkiac is an impressive feat, and makes us wish similar search engines existed for all our favorite shows. Of course, it’s likely that cease and desist orders would prevent such conveniences from materializing. As for Frinkiac, we’ve seen Fox shut down fan efforts before over alleged copyright violations, so enjoy this particular tribute while you can.